In-house counsel wield the unique power of being in the same room as their CEOs and chairpersons. In addition to their roles as attorneys and risk managers, many in-house counsel are also decision makers and influencers. Because in-house counsel are such trusted advisors, make key decisions, and know their CEOs and chairpersons best, they are particularly positioned to advocate for board diversity in their companies. But once you have a seat at the table, what do you say? These seven compelling arguments can be used to convince your company to pursue board diversity. Diversity (especially gender diversity) on boards is good for business. Having women on boards has proven to be very beneficial for business enterprises. Financial performance seems to be better when there is a higher percentage of women. This is a clear indication that CEOs and chairpersons should not prevent women from joining in crucial meetings — in fact, women should be encouraged to join boardrooms! Studies show that women are very educated and well-accomplished, especially in key fields such as medicine and law. They also connect well to the customer and client base, motivating an increase in both sales and overall company development. Diversity creates an enhanced pool of talent for the board. Everyone has special skills and a unique experiences in their field of work. Members of minority groups may have skills and experiences that your company needs. By maintaining a homogenous board, even inadvertently, your company may be overlooking the opportunity to enhance its talent pool. With a larger number of minority board members, your board has a greater chance of identifying personnel who will have positive impact on your organizational goals and other tasks. Diversity improves performance at all levels of the company. As the head of any company, it is your duty to ensure that all departments at different work levels are performing well. When women and other minorities are employed on the board, this enhances diversity at other levels of the company as well. A diverse board will both spur the company’s progress and create a diversified workforce. Diversity improves overall corporate culture. Two heads are better than one and you can achieve this by diversifying your board. By engaging individuals from different areas of your organization, you open a new platform where everyone can speak on their thoughts and bring new ideas to the table. For maximum effectiveness, ensure that you listen to everyone’s view and genuinely consider the ideas brought forward during meetings. This will not only attract better overall talent to the company, it will also improve the company’s culture, morale, and resilience. When you set your company aside from the rest by embracing board diversity, you send a message that the board is made up of considerate people who understand the importance of equality. By eliminating signs of even inadvertent discrimination and ensuring that the company is actively working on inclusion at all levels, you can assure stakeholders that company leadership will maintain a positive brand image. Diversity helps create a good rapport with the community. 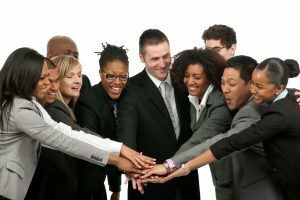 A company that involves its minority employees and has a diverse board will more effectively cement good relationships with the community where the company operates. Hiring diversely at all levels of the company is an excellent way to give back to the community and show that your company cares about making a positive impact. Diverse board members will also help ensure the company’s actions do not negatively affect important communities that may otherwise be overlooked. To strengthen ties with the community at large and build on the organization’s reputation, consider board diversity as a means of establishing the necessary relationships. Diversity broadens the investor base. Your company needs a diverse board, and as in-house counsel you can help make that happen. Diverse boards have plenty of benefits — besides the fact that hiring diverse leadership is the right thing to do. But making this important change isn’t simple. In this new generation of business and technology, it’s important to rally as many supporters and key decision makers as possible so that the company can make progress, even in your absence. As key decision makers and influencers in close proximity to company leadership, in-house counsel are well positioned to lead this charge. With these seven compelling arguments, you can use your position as in-house counsel to achieve board diversity at your company.